We are accepting Bridal Appointments ! Bridal Appointments are necessary and very limited ! Our full attention is to YOU! 824 E. La Rua St.
Sign UP for Newsletter below! If you are looking for the best Wedding Dresses Pensacola, Simply Elegant Couture is the newest boutique to find the perfect Wedding Dress. WE carry the leading Designers like Sottero Midgely, Allure Bridals, Mori Lee Bridals, Casablanca Bridal, Essense and Sincerity Bridal. These Wedding Gowns are available for you to schedule Your Private Bridal Appointment to see and find that perfect Wedding Dress for your Wedding day. 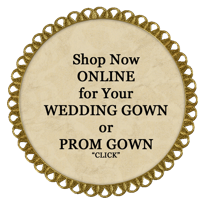 Once you find the perfect Wedding Gown Pensacola, we are able to move on and find the complementing Bridesmaid Gown.